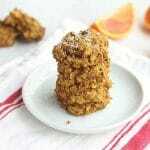 These delicious and healthy muffins are gluten-free and low in sugar! 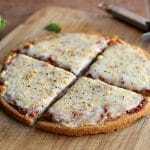 NO gums or starches needed and only two tablespoons of added sweetener. 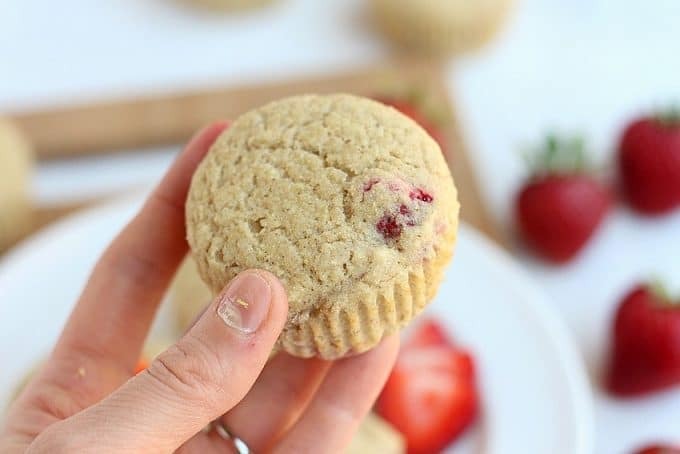 As much as I want to title this ‘the BEST strawberry muffins’, I know that my taste isn’t everyone’s. These are, however, our best, and maybe for that reason, you’ll give them a try. In my years of making muffins, one thing stands above everything else: DON’T (that deserves repeating), DON’T overmix your batter! You simply will not get the same texture or flavor if you beat your batter to death. Treat it gently and with care, giving the rising agent (AKA, baking soda or baking powder) a chance to work. 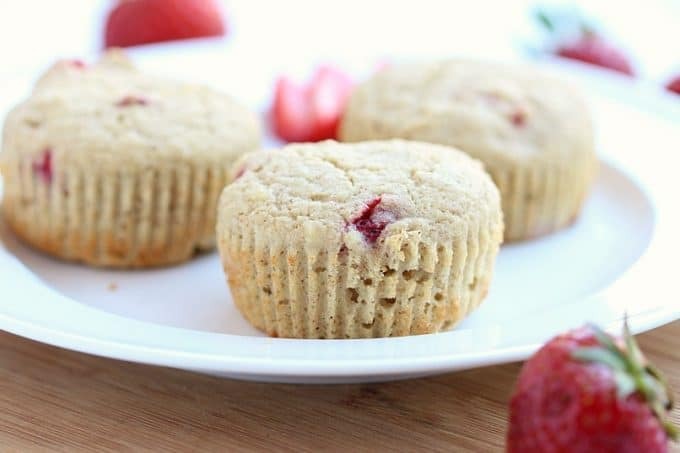 You’ll be rewarded with homemade muffins that are soft, moist, and fluffy! 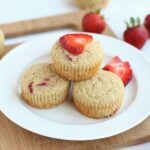 With fresh strawberries in abundance right now, I felt a good gluten-free muffin was in order! I picked up a box of organic strawberries last week, and they were just phenomenal! When fruit is that good, it’s hard for me to do anything other than eat it, but we bought so many that there was enough to experiment with. On top of that, my girls love muffins in the morning. When I make these for them, they can each down 4-5 in a row. It’s amazing how much my kids can eat sometimes! 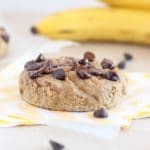 With gluten-free baking, I haven’t been a big fan of using a lot of starches or gums. I find the gums don’t agree with my digestion, and the starches make for an energy crash. 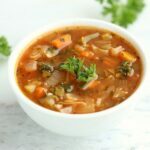 I have had a good amount of luck with the combination of buckwheat flour, brown rice flour, and eggs, so I go back to it often. The density of the buckwheat works well with the lighter rice flour, and the eggs help to bind everything together. 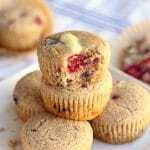 With only two tablespoons of sweetener, these definitely qualify as a muffin, NOT a cupcake, but my kids all love them and don’t complain. 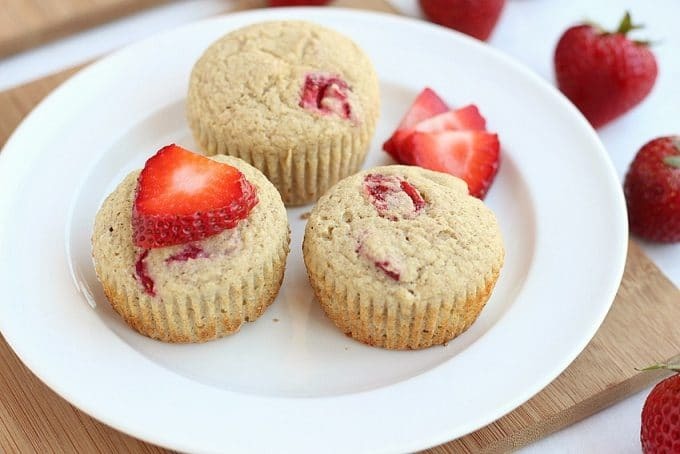 The strawberries and extra hit of vanilla both add to sweetness and flavor, and with a pat of butter, these make a great morning meal. 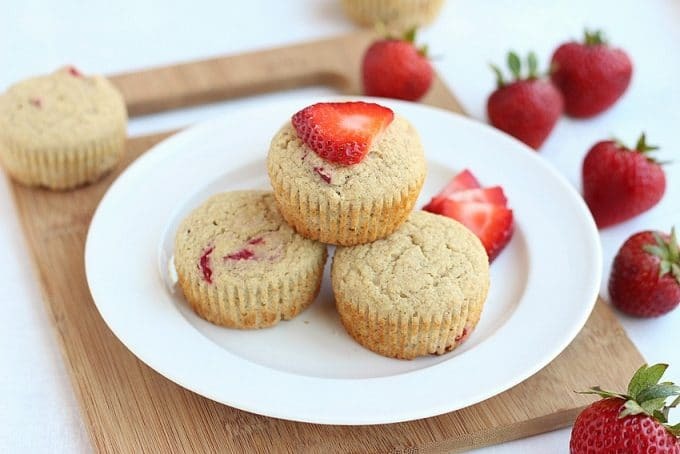 Delicious, fluffy gluten-free strawberry muffins that are low in sugar. 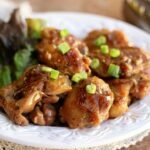 1/4 cup oil I like grapeseed, but coconut oil or butter will work too! 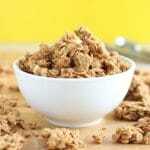 In a large bowl, whisk the dry ingredients (flours, baking powder, salt). 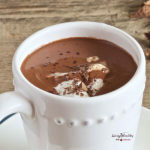 In a medium bowl, whisk the wet ingredients (milk, eggs, applesauce, oil, maple syrup, vanilla). Make a well in the center of the dry ingredients and pour in the wet mix. Mix just until dry ingredients are moistened (try not to exceed 10 rotations of the bowl with your spoon!). 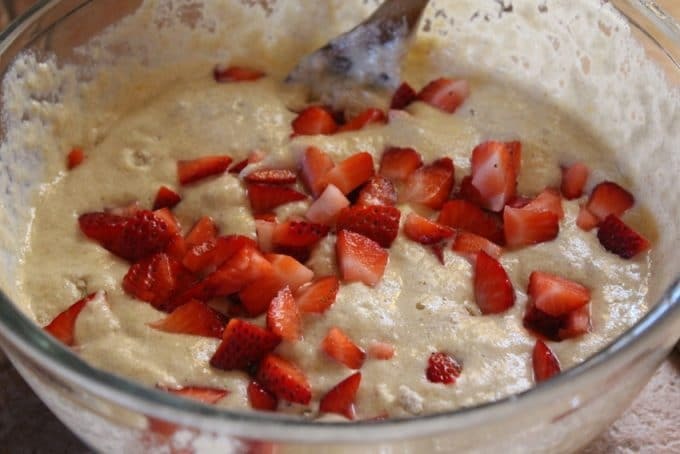 Stir in the strawberries, only mixing 2-5 more times (you can reserve a few for topping if you like!). Divide the batter between 20 muffin cups (I use an ice cream scoop to do make this easier). Bake 12-15 minutes until a toothpick comes out clean. The buckwheat flour I use is ground from these raw buckwheat groats. I haven’t tried this recipe with the pre-ground flour. This is the ice cream scoop I use for distributing muffin batter. It makes the job MUCH easier! I can’t have oils nor eggs. How would u sub these 2 ingredients? Your buckweat bread is my addiction now( so yummie) so maybe i could sub the eggs with the applesauce and the oil with almondmilk and applecider vinigar? No idea…. hope you can help! I’m so happy you like the bread. 🙂 I’m not sure if those subs would work here, as you’re taking out quite a bit of structure from the eggs. 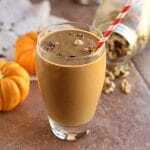 My best guess is to sub the eggs for flax or chia eggs and the oil with an equal amount of applesauce. 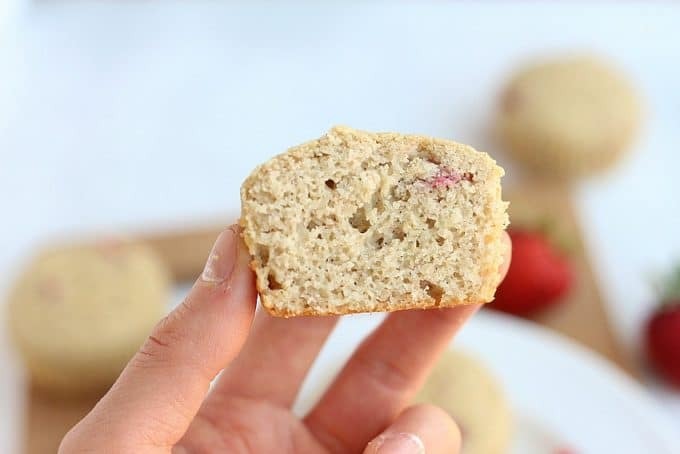 You could also try adding strawberries to the buckwheat bread recipe! Let me know how it goes if you try anything. 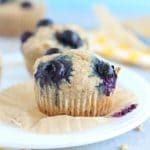 Great idea to mix up the blueberry muffins I always default too! 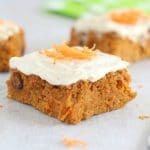 These seem delicious, will have to try this weekend!